The Best Monitors For Your Money? By that, we mean the monitors that offer the best performance and the best features at a given price. Why would you want that, you ask? Because you want the monitor that offers the best gaming performance and the best features possible for your hard-earned money, right? Reading detailed monitor reviews and specs can be a lot of fun. However, most of us don’t have the time to do that and just want the answers. In other words, what you want to know is what is the best monitor for your budget. So if you don’t have the time to do the research, or just don’t care to do it, don’t worry. We’ll come to your help with this article. The ASUS VH236H, the best monitor for $175. If you’re already comfortable with terms such as resolutions, panel types (TN, VA, IPS, etc. ), CFL vs LED backlight, response time, matte vs glossy, inputs, ergonomics and the like, feel free to jump right into our recommendations below. Otherwise, I invite you to read and understand the terms below, before choosing a monitor. – Size: The size of the monitor, from one diagonal corner to another. – Resolution: The number of pixels displayed by the monitor, wide by height. The higher it is, the more things can be displayed at once. Higher resolution also results in higher image quality in video games, but an higher resolution is also more demanding on the video card. TN panels are found on budget monitors, have the fastest response times, but suffer from inferior color reproduction, contrast ratios and viewing angles. S-PVA/MVA/VA panels are found on mid-range monitors, offer better color reproduction and viewing angles than TN panels, have slightly worse response times than TN or IPS, offer the best contrast ratios and may suffer from color shifting or input lag. IPS panels are found on mid-range and high-end monitors and are generally considered the best all around panel type, offering the best color reproduction and viewing angles. Input lag varies from excellent to poor, depending on the monitor. For more information on the pros and cons of each panel type, I invite you to read LCD Panel Technology Explained, from PC Hardware Help. – CFL or LED Backlight: Simpy put, LED backlit monitors consume less power than their CFL backlit counter-parts. – Response time: Lower is better. – Matte or Glossy: A glossy finish will reflect light, while a matte will not. Colors usually look better with a glossy finish and contrast is usually slightly higher with a glossy finish. – Inputs: Which types of cable connections are accepted by the monitor. Examples being: D-SUB (VGA), DVI, HDMI, Displayport, etc. – Ergonomics: This refers to possible physical adjustments of the monitor, in relation to the stand. If you want your monitor at the right height/angle to keep the right posture while being at your computer, this can make all the difference. Then again, you can go with a 3rd-party monitor stand if your monitor’s stand cannot be adjusted in ways that you want, assuming that it has VESA support. – Speakers: While some monitors are equipped with speakers, consider them last resort solutions, due to their poor sound quality and general lack of power. – VESA Support: If you want to mount your monitor on the wall, or on an after-market stand, make sure that it supports VESA and to match the size of the mounts of the monitor and wall mount/stand. What about brightness and contrast? Manufacturers are notoriously known for coming up with completely ridiculous values for brightness and especially contrast, so I simply didn’t bother reporting values that are more often than not unrealistic. Our goal with this article is to fly over the important specifications that you need to understand to choose the best monitor for your needs, while keeping it simple enough for the average user to understand and to keep this article’s length reasonable. If you want to learn more about each specification in details, I invite you to consult the specifications guide over at Tft Central. This list is based on the best U.S. prices from NewEgg, Amazon or the manufacturer’s website. Prices and availability change everyday. We can’t keep up with accurate pricing everyday, but we’ll suggest to you great monitors that you won’t regret buying at the price ranges that we list. All prices are based on new monitors prices, no refurbished or open box monitors are listed; they might be a good deal, but they come with trade offs, such as missing accessories, higher failure rate, limited return policy, limited warranty, limited availability, etc. For only $90, you get a monitor that offers a 1600 x 900 resolution, a 5ms response time, LED backlight (reduced power consumption), VGA/DVI inputs, included VGA/DVI cables and HDCP support. A budget Gaming PC Tier 0.625 to Tier 1. Someone who wants a reasonably sized (20″) monitor. 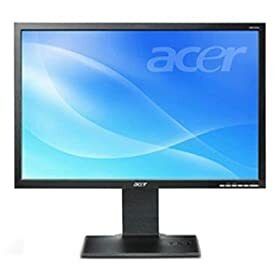 Acer V173 Djb 17″ 1280 x 1024 VGA – If you prefer the 5:4 aspect ratio, to get more vertical pixels, the Acer V173 Djb, with a 1280 x 1024 resolution, is recommended for $99. For $130, you get a 23″ Full HD 1080p 1920 x 1080 monitor, a 5ms response time, VGA/DVI inputs, included VGA/DVI cables, VESA mounting support and HDCP support. CFL backlight resulting in higher power consumption vs LED backlight. 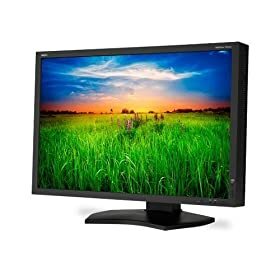 Anyone looking for a low-cost 1080p (1920 x 1080 resolution) monitor. The lack of HDMI port might bother some, but keep in mind that you can simply use a HDMI to DVI cable or adapter. Acer V223W EJBD 22″ 1680 x 1050 Matte – Ideal if you want a low-cost monitor with a matte screen and a decent resolution. Acer S231HL 23″ 1920 x 1080 HDMI – This monitor offers a 1920 x 1080 resolution, with HDMI/DVI/VGA inputs and HDMI/DVI/VGA cables included. It also comes with LED backlight. On the downside, it has a rather flimsy stand and average reviews, hence why it’s not my main recommendation vs the ASUS VH236H above. For $160, you get a 23″ 1920 x 1080 monitor with a 2ms response time, VGA/DVI/HDMI inputs, included VGA/DVI cables, VESA mounting support and HDCP support. Anyone looking for a low-cost monitor with a low response time (2ms). Great for Budget Gaming PCs Tier 1/2 or a Mainstream/High-End Gaming PC, for games that demand a low response time. HP L2201x 21.5″ 1920 x 1080 MVA Panel, Matte, Displayport – This is an interesting alternative if you want a 1080p monitor with a MVA Panel, that’s matte (not glossy) and has a Displayport input. 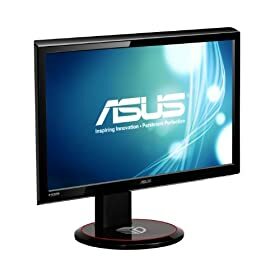 For $200, you get a 21.5″ 1920 x 1080 monitor with a matte E-IPS panel for great viewing angles and color accuracy, LED backlighting, VGA and DVI inputs, includes a VGA and a DVI cable. I was originally going to recommend the AOC I2353PH, a 23″ E-IPS monitor with great color accuracy, pretty good input latency, superb looks (brushed aluminum bezel/base, 9.2mm thick), VGA/2x HDMI inputs and VESA support, after reading great reviews about it and buying one for myself, but it pretty much went out of stock at all major retailers yesterday for some reason. If you shop around, say on Ebay, you should be able to snag one for $190-200. Alternatively, it might come back in stock sometime in the future (I sure hope so). At that price, it’s a steal for a monitor with excellent performance and great looks! Only a 1-year warranty, compared to 3 years for most monitors. Newegg is currently offering a free 1 yr warranty extension, as part of a limited-time offer. Anyone looking for a 21.5″ monitor with great viewing angles, good color accuracy and LED backlightning. Great for Budget Gaming PCs Tier 1/2 or a Mainstream Gaming PC, for games that don’t demand a low input latency (so avoid for FPS games). Also a great choice for a Budget/Mainstream Workstation, where viewing angles and color accuracy matter. For $235, you get a rather slim 24″ 1920 x 1080 monitor with a 2ms response time, LED backlighting, VGA/DVI inputs, included VGA/DVI cables, VESA mounting support, HDCP support and full ergonomics adjustments (Height, Pivot, Swivel, Tilt). Anyone looking for a low-cost 24″ monitor with a low response time (2ms) and full ergonomics adjustments. Great for Budget Gaming PCs Tier 1/2 or a Mainstream/High-End Gaming PC, for games that demand a low response time. 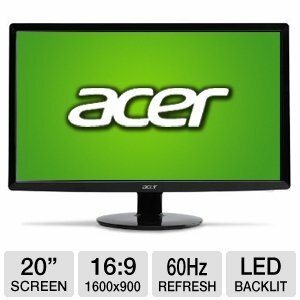 Acer S243HLbmii 24″ 1920 x 1080 2ms VGA/2xHDMI Slim Design – If you a 24″ 1080p monitor with two HDMI input and a unique look. 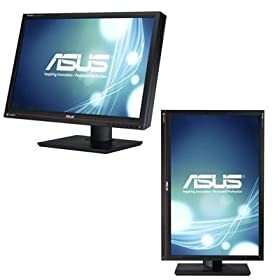 ASUS VE258Q 25″ 2ms 1920 x 1080 VGA/DVI/HDMI/Displayport – If you want a 25″ 1080p monitor with a 2ms response time. LG IPS231P-BN 23″ 1920 x 1080 IPS Matte Panel VGA/DVI Swivel Height Tilt – IPS panel, 23″ 1080p matte with Swivel, Height and Tilt adjustments available. Dell UltraSharp U2312HM 23″ 1920 x 1080 IPS Panel VGA/DVI 4x USB Height, Pivot, Swivel, Tilt – IPS panel, 23″ 1080p matte with Swivel, Height, Pivot and Tilt adjustments available thanks to the very sturdy stand. You also get four USB 2.0 ports. According to reviews, it also feature low input latency, making it an excellent choice for gaming as well. Don’t have a Nvidia video card or aren’t interested in buying the Nvidia 3D glasses? In that case, check out the LG D2342P-PN 23″ 5ms 3D – Included glasses VGA/DVI/HDMI which uses passive glasses (included, with also included clip-on for glasses wearers) along with the included TRI-Def (3d conversion software for games and viewing photos/videos). It’s also a 1920 x 1080 (1080p) monitor. On the downside, it’s not a 120Hz monitor, so it’s not as fast as comparable Nvidia 3D Vision compatible monitors. Nonetheless, at $240 for a 3D 1080p monitor that includes everything that you need, it’s solid value. For $299, you get a large 27″ 1920 x 1080 matte monitor with a 1ms response time, HDMI/DVI inputs, included DVI and DVI to VGA cables and HDCP support. Anyone looking for a 27″ monitor with an ultra-low response time (1ms). Great for Budget Gaming PCs Tier 1/2 or a Mainstream/High-End Gaming PC, for games that demand an ultra-low response time. Planar PX2230MW 22″ Touchscreen (Windows 7/8 only) 1920 x 1080 5ms VGA/DVI – Want a touchscreen? 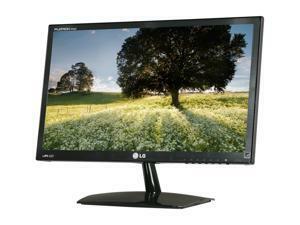 Here’s a 22″ 1920 x 1080 monitor with touchscreen support, only under Windows 7 and 8 though. For $370, you get a 23″ 1920 x 1080 matte monitor with a 120Hz refresh rate, support for Nvidia 3D Vision (with included glasses), HDMI/DVI inputs, included DVI and DVI to VGA cables and HDCP support. Anyone looking for a 23″ monitor with a 120Hz refresh rate and Nvidia 3D Vision support, with included glasses. Great for a Mainstream or a High-End Gaming PC, for games that demand an ultra-fast refresh rate. Dell UltraSharp U2412M 24″ 8ms IPS Panel 1920 x 1200 USBx4 VGA/DVI/Displayport – If you want a 1920 x 1200 monitor with an IPS panel, VGA/DVI/Displayport connections and a stand that supports height, tilt, pivot and swivel, the Dell UltraSharp U2412M is a great alternative. On the downside, the is a hit or miss feature, some people cannot stand it. By buying it at Amazon, you can easily return it if you cannot stand the anti-glare coating. Dell ST2220T 21.5″ touchscreen 1920 x 1080 IPS panel VGA/DVI/HDMI 3x USB – Want a touchscreen with an IPS panel? The Dell ST2220T is an excellent choice. HP ZR24w – Versus the Dell UltraSharp U2412M, the HP ZR24w doesn’t need as much tweaking to get accurate colors, only to lower the brightness. While the HP isn’t recommended to avid gamers, the Dell is to avoid completely for gamers, with even worse response time and ghosting. Finally, while the HP ZR24w is a matte monitor, it’s not equipped with the problematic anti-glare coating found on the Dell, which some people cannot stand. In the end, all these points give me no choice but to recommend the HPZR24w over the Dell UltraSharp U2412M, if you want a 1920 x 1200 monitor with a S-IPS panel. For $498, you get a 24.1″ 1920 x 1200 matte monitor with a P-IPS 30 bit (10-bit per color channel) panel for great viewing angles, great color space coverage (covers 98% of the Adobe-RBG color space, according to ASUS), color accuracy, VGA, DVI, HDMI and Displayport inputs and full ergonomic adjustments possible. Anyone looking for a 1920 x 1200 monitor with a 30 bit (10-bit per color channel) P-IPS panel for great viewing angles, color space coverage and color accuracy. Great for a Workstation or a Gaming PC that doesn’t need the fastest response time. 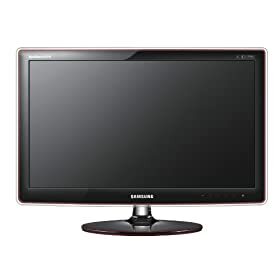 Samsung MD230 23″ 1920 x 1080 8ms Ultra-thin bezel – If you want a monitor with an ultra-thin bezel, the Samsung MD230 is the way to go. With its ultra-thin bezel, it’s the ideal choice for for a three (3) monitors with stand or six (6) monitors with stand setup. Dell Ultrasharp U2410 24″ 1920 x 1200 IPS VGA, DVI, DisplayPort, HDMI, Component, Composite, USB – If you prefer the Dell brand over ASUS, or if you need more/different inputs (The U2410 offers D-Sub(VGA), 2x DVI, DisplayPort, HDMI, Component and Composite inputs), the Dell UltraSharp U2410 is a good alternative. On the downside, the anti-glare coating on the UltraSharp is a hit or miss feature, some people cannot stand it. By buying it at Amazon, you can easily return it if you cannot stand the anti-glare coating. $570 – Acer HN274Hbmiiid 27″ 1920 x 1080 2ms 120Hz Nvidia 3D Vision included glasses – If you want a large 27″ monitor with a 120Hz refresh rate, support for Nvidia 3D Vision (with included glasses) for gaming, this is a great pick. 30-bit S-IPS panel that covers a staggering 111% of the Adobe RBG Color space, according to this AnandTech’s review of the HP ZR30w. Lowest input latency for a very-high resolution monitor, making it also a great choice for gamers who want a 2560 x 1600 monitor without suffering from too much latency. Limited connections: Only one Dual-Link DVI and one Displayport input. Requires a video card that outputs via a dual-link DVI port or a Displayport, like any other very-high resolution monitor. High power consumption, due to its large size, high resolution and use of CFL backlight. No Pivot adjustment possible without buying a stand. A professional who needs accurate color and tone reproduction, for any color and tone critical workflow, including photography, video, film, industrial design, and graphic arts. With its low input lag, it’s also a very good monitor for a gamer who want to game at a resolution of 2560 x 1600 on a single monitor. Dell UltraSharp U2711 27″ Matte 2560 x 1440 – The Dell Ultrasharp U2711 is a great alternative, if you want a 27″ 2560 x 1440 30-bit S-IPS panel at a low-cost. On the downside, the anti-glare coating is a hit or miss feature, some people cannot stand it. By buying it at Amazon, you can easily return it if you cannot stand the anti-glare coating. $949 – Apple Cinema Display – 27″ 2560 x 1440 Glossy with Thunderbolt – If you want a very high resolution monitor, but with a glossy finish, the Apple Cinema Display is an excellent option. It’s also equipped with LED backlight as opposed to CFL backlight for other very high resolution 27-30″ displays, resulting in a much lower (about 50W at max) power consumption. A major drawback though is that it only accepts a Thunderbolt connection, which is currently only available on Apple Mac computers. This is set to change starting in April though, with the launch on Intel’s Ivy Bridge and various motherboards/laptops that will come with it, with many that should support Thunderbolt. $1268 – UltraSharp U3011 30″ 2560 x 1600 – The HP ZR30w offers a more solid stand, slightly better color performance and lower input latency, according to AnandTech. The U3011 does offers an extra DVI and HDMI port (with 5.1 audio pass through), so if that matters to you, opt for the Dell Ultrasharp U3011. Otherwise, the HP ZE30w is a better monitor overall. In other words, if you are a professional in the animation, game development, film/video post-production, broadcast, product design, and/or graphic arts categories or a consumer/hobbyist for who only the best of the best will do, the NEC PA301W is the way to go. Currently on sale for $1816, it usually sells for over $2100, if not $2300-2400. 30-bit S-IPS panel that covers a staggering 112% of the Adobe RBG Color space, according to AnandTech’s review. Four inputs: Two Dual-Link DVI and two Displayport 1.1a ports. 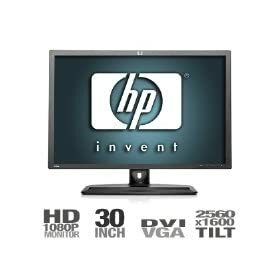 Requires a video card that outputs via a dual-link DVI port or a Displayport, like any other high-resolution monitor. Rather high input latency; not ideal for a gamer. The HP ZR30w recommended at the $1100 price point is the best option for a gamer who want a monitor with a 2560 x 1600 resolution. It’s massive with dimensions(with stand) of: Width (27.1″ (688.0 mm)), Height: (18.4-24.3″ (466.4-646.4 mm)) and Depth (11.9″ (301.6 mm)) and heavy at 41.5 lbs (18.8 kg) with the stand. A professional who needs accurate color and tone reproduction, for any color and tone critical workflow, including photography, video, film, industrial design, and graphic arts. With its low input lag, it’s also a very acceptable monitor for a gamer who want to game at a resolution of 2560 x 1600 on a single monitor. We hope that you’ve enjoyed this first edition of the Best Monitors For Your Money, a collaboration between Windez, one of our forums member and Mathieu, the editor-in-chief and founder of Hardware Revolution. Of course, with this being the first edition of the article and this being such a complex article, with many recommendations and alternatives, you may find some typos. Alternatively, you may believe that there’s a better option than our recommendations. If that happens, feel free to leave a comment below and remember, you can join us on our forums to discuss with everyone else the monitor that you’re planning to buy, ask your questions and join our helpful community. PreviousHardware Revolution needs your help! Tell us how well do video games run on your PC? NextHigh-End Workstations: Dual CPUs, 32+GB RAM, Dual SSDs, Nvidia Quadro+Tesla, etc. Have a Backup System that you can rely on! Always go matte display if you can. Glossy is going to have annoying reflections. Matte displays do tend to have a slightly lower contrast ratio, but overglossing everything nowadays is ridiculous. I have a Dell st2210. The stats arn’t too great looking but if you want a 1080p display with a hdmi, vga, and dvi for around $150, then this is great. My computer isn’t too powerful so I can’t say it can handle modern pc games. (Great for minecraft on low settings lol) but it handles anything ps3 throws at it (hdmi). 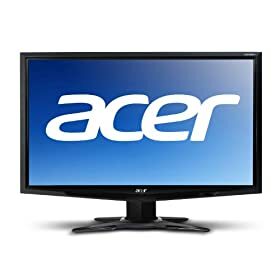 Who am I Rockefeller , the best monitor for $89 Acer G185 I got two , spent the extra dough on a pair of those flat screen brackets . What about 120 Hz aka “3D” monitors? Also, you should discuss screen size in relativity to viewing distance. Great article otherwise. I’m confused, which monitors are good for gaming?? Or does it differ depending on the type of gaming? If you read the “Ideal for” about each monitor it tells you if it is good for gaming. Generally, it is the under $400 monitors that are great for gaming. The more expensive monitors are built for color accuracy rather than refresh rate. how about ASUS VS248H-P? it’s 184 and change right now in amazon…what’s your opinion on this one? I’m also curious why you didn’t select the ASUS VS VS238H-P, on newegg now for 170. It’s essentially the same as the monitor that you chose for that price-range, the only major difference being that it has no build in speakers (who uses those anyway) but does have an LED backlight, which you agree to be superior. More than likely due to a price change since my last edit on the article. The ASUS VS VS238H-P is a great choice at that price, even more so with the 10% off promotion. I swear, during the time that I was writing the articles, I must have seen at LEAST 50 price changes on various recommended monitors. As far as CFL vs LED, I found that CFL has more detail in overblown and shadow areas while LED provides a more uniform back lighting? That is what I’ve noticed when comparing to my old CFL displays. Point is, IMHO LED isn’t necessarily always better. Anyway, I would like more info about the pros and cons of CFL vs LED. I cannot seem to find any real detailed info which is better for gaming/movies/general use. I understand that “Simpy put, LED backlit monitors consume less power than their CFL backlit counter-parts.” but for most of us, we could not care less about which one “consumes less power” only which one is better for our experience. Best 120hz gaming monitors should be separate category. 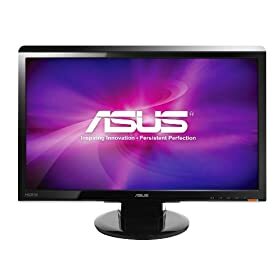 What’s your opinion on the Asus ML228h monitor? It seems to have everything you could want: 1080, 2ms response, LED lighting, and ultra thin design. Plus, IMO, it is nicely designed. Great job on the article! Other sites say the acer g235 is matte and the asus 236h is glossy. Nice article. Ever think about doing one on touch screen monitors. Seems like things may head in that direction. Thanks. You skipped like a 400 gap between 600ish and 1000ish. Why not include the PB287q?